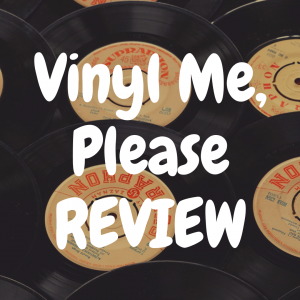 You are here: Home / Turntable Reviews / What’s the Best Record Player Brand? 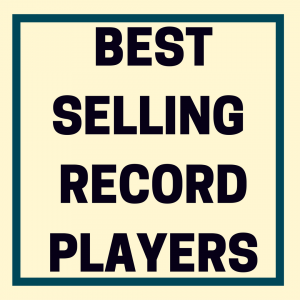 What’s the Best Record Player Brand? When school kids learn the all-important technique of distinguishing fact from opinion, “best” is known as a trigger word – like the trigger on a weapon. It is fraught with danger. It can be misused and misunderstood. It can be hurtful. It can be highly meaningful or next to meaningless. Most significantly, it is about as subjective a word as can be found in the English language. 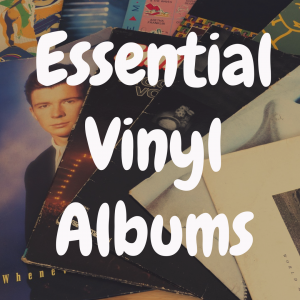 Nonetheless, people are naturally attracted to “best” lists, and that includes the growing number of audiophiles who enjoy their music via vinyl records. 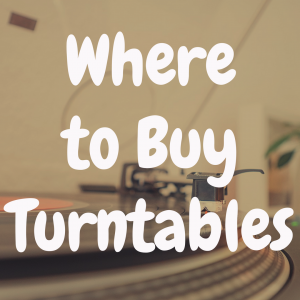 So we’ve created our own list: the best companies (or brands) that are making turntables today. Each brand listed has a unique niche in the marketplace, and each has earned a spot in the hearts of music lovers. Therefore, all rightfully and deservedly belong here. Reputation: How does the company tend to stack up as far as “name” goes? Has it been around for a while? Will it be around if buyers need parts or service? Awards and reviews: Check the better audio publications. 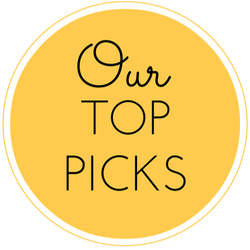 Are the company’s products highly reviewed and included on recommended-component lists? Consumer reviews: How do actual users like the company and its offerings? Fellow audiophiles: What do music lovers who habituate quality forums like Audiokarma and Audioasylum have to say? Tech support: Does the company offer easily accessible phone and online support for its products? Based in Giebenach, Switzerland, Thorens calls itself The Phono Company, and that it certainly is – and it has more than earned that moniker. Established in 1883 to manufacture music boxes, it made its first Edison-type phonograph in 1903 and continued to blaze a trail, eventually introducing direct-drive motors, the first magnetic phono pickup and record changer, and many more advancements. The first Thorens “hi-fi” record player appeared in 1957 and left newly minted audiophiles and audio writers breathless. Thorens was once a brand obtainable by only the most well-heeled vinyl lovers, but that’s not the case any longer. Certainly, the venerable company’s 13-item lineup today indeed includes the likes of the exotic TD 550, for the pretty-penny price of a cool $12,000. 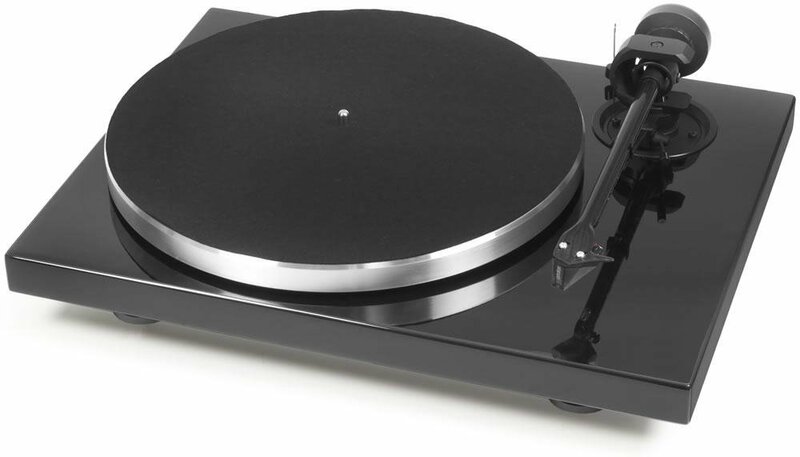 But there are also much more affordable units, beginning with the very attractive, black matte, fully automatic TD 190 ($800), which boasts a heavy platter and also packs in other unusually high-quality components. They include a very spiffy Ortofon OM 10 cartridge and Thorens’ highly regarded TP 19 tonearm. You can find plenty of turntables at a lower price, but with a Thorens on your equipment shelf, you become part of the timeline of audio reproduction itself. And, simply put, no turntable maker matches this company’s reputation for precision and attention to detail. 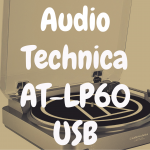 Audio-Technica is sort of the Rodney Dangerfield of the audio world – you know, that “no respect” shtick. But the Tokyo, Japan-based audio giant – established in 1962 – just keeps on keeping on, marketing microphones, headphones, phono cartridges and, of course, turntables. Are they elegant? Chic? Graceful? Not at all. But what they are is rugged and unique, appealing to the would-be DJ or newbie audiophile that resides in many of us. One unit in particular, the belt-drive AT-LP60 USB (around $120) is a huge seller, a big-box-store staple that offers performance and features way above its paltry price. Besides being fully automatic, the LP60 ships with a remarkably high-quality cartridge that allows for stylus replacement. Moreover, it has a built-in phono preamplifier, and its “USB” designation means that it easily hooks up to a computer for digitization of vinyl audio tracks. Like all A-T tables, it has a sort of renegade, industrial look very different from the “elite” brands. But the company’s lineup also goes well beyond the basic. The AT-LP120 (about $250) offers an even better cartridge (the AT 95E), direct drive, and all three record-playing speeds. It also has pitch control, and if you think that such a feature is just for DJs, think again. You’d be surprised how many LPs were recorded at a slightly wrong speed. Miles Davis’ perennial “Kind of Blue” is a classic example. Leave it to the Brits to adhere to rich tradition. Rega Research Ltd., headquartered in Essex, England, produced its first Planar turntable back in 1975 and has been gently but steadily refining the Rega (pronounced “ree-guh”) Planar line ever since. The two-speed, belt-drive RP1 ($450) is considered by many to be the best entry-level table on the market, and for good reason. While it comes in three colors, there is nothing else that could be considered a gimmick or frill. The meat is in the components: Its near-legendary, hand-assembled RB101 tonearm tracks solidly and accurately, and its motor is renowned for being vibration-free. In addition, Rega tables come essentially “plug and play.” The RP1 includes a fine Rega Carbon cartridge. The rest of the RP tables are equally well-regarded, but with upgraded materials and more expensive cartridges that will reveal additional detail from the best vinyl records. Many LP fans will move to (or often start with) the RP3 ($1,000 with critically acclaimed Rega Elys 2 cartridge), a definite step up in cartridge and platter quality (float glass). Rega’s “double brace” design makes the RP3 a solid choice – quite literally. The RP6 ($1,990) is an unquestionable looker, adding lovely, elegant, high-gloss finishes, a two-piece platter and extremely accurate Rega Exact cartridge to the picture. Regardless of price, any of the RP tables are of decidedly royal lineage and undeniable audio quality. 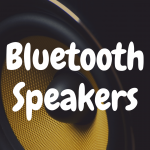 When it comes to audio components, appearance shouldn’t matter, right? It’s all about the sound, and some of the most expensive turntables in the world wouldn’t turn anybody’s head. But many audiophiles do tend to be style-conscious (see: the “wife acceptance factor”). So why shouldn’t record players, in and of themselves extremely simple devices, also look cool? The Austrian company Pro-Ject Audio Systems, founded in 1990 and in that sense the baby of our group, figured out early on that eye-catching sells. The company has achieved rapid and remarkable success with its lineup of colorful, oddly shaped, minimalistic and generally nifty-looking tables, all while sacrificing nothing in terms of the physical and audio quality of its machines, which are made in Czechoslovakia and Slovakia. Pro-Ject’s huge selection includes seven separate lines of turntables, all of which are stellar performers, with many looking nothing like the norm. We’re particularly taken by the 1Xpression Carbon Classic in olive ($1,000), a gorgeous, woodsy-looking machine to behold. It also comes in equally lovely piano black, gloss white and mahogany. But there’s plenty under the hood as well: a topnotch Pro-Ject 2M Silver cartridge, resonance-damping counterweight, anti-feedback feet, and more. If a grand’s a bit out of your price range, the company’s Elemental table ($250) comes across a bit like an odd, home-built gadget but sounds nothing short of heavenly with its Ortofon OM 5E cartridge. Click here to see our review of the Pro-Ject Debut III. Music Hall: What’s in a Name? “It ain’t bragging if you can do it,” proclaimed the great pitcher Dizzy Dean. So we won’t begrudge affable music lover Roy Hall the right to name his company (of which he’s “president for life”) after himself. Founded in 1985, Great Neck, N.Y.-based Music Hall LLC offers a wide array of (mainly two-channel) audio components, and its tiny Marimba speakers have wowed many reviewers. But the company is still best-known and most-beloved for a line of turntables that are meticulous in their quality and uniformly value-packed. They run the gamut from the entry level to the truly high end. It’s most popular table is the MMF 2.2 (around $300), a superb portal to the full appreciation of the sound of vinyl. In red, gloss black or gloss white, this two-speed, belt-drive turntable is elegantly minimalist. It comes with a more-than adequate Music Hall Spirit cartridge already aligned and mounted. Adjustable, vibration-dampening feet and hefty alloy platter make for a sure, steady record playing experience. It’s quite a package for such an affordable record player. Stepping up the food chain, you’ll find the MMF 5.3 (around $875), which features a unique dual-plinth design and Ortofon’s superb 2M Blue cartridge. It is known for being quiet and extremely solid with its isolated, DC synchronous motor. By its very nature, a list like this is going to leave someone out. And plenty of fine turntable makers aren’t included here. Where’s Technics, which is making a much-anticipated return to the marketplace? What about Denon, a table staple for many years? And there’s no Pioneer, Clearaudio, Onkyo, Linn, and on and on. Let’s just say this: If we picked the top 10, those names would all be here for sure. What this proves is that there’s an abundance of excellent choices. And that fact can’t help but make for interesting, exciting, and rewarding shopping. What’s the Best Audio-Technica Turntable? What’s the Best Pioneer Turntable? What’s the Best Pro-Ject Turntable? 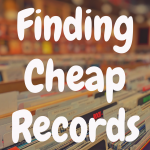 Where to Find Cheap Vinyl Records?